Kampong Khleang floating fishing village on Tonle Sap, Cambodia is one of the most fascinating places that we have ever visited since we started our adventures as Wanderlust Storytellers. This incredible Cambodian cultural village has left a mark in our minds and we are grateful for the chance to have seen it with our own eyes. 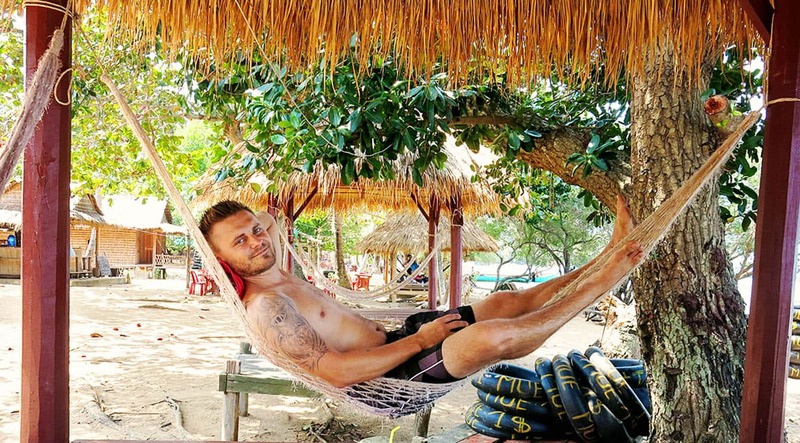 Travelling mindfully is one of the most important things to us when we explore other countries! Everywhere we go we want to learn and teach our kids about different cultures. We want to find out how people live, work and what the communities look like. We love when our little ones enthusiastically ask millions of questions and fill their brains with valuable information. You cannot learn all these things at school whilst sitting behind the desk. We believe, that the only way to really learn about places is to visit them. 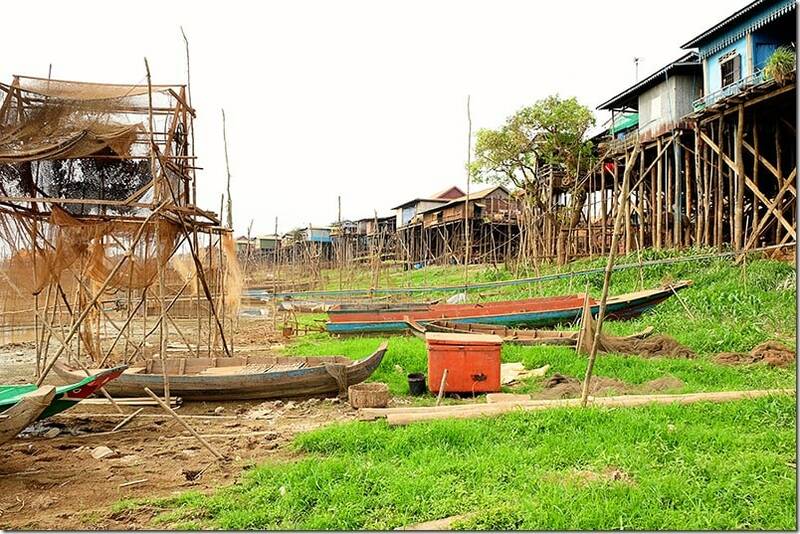 And here at Kompong Khleang, there is plenty to see and to absorb. Thoroughly enjoyable experience and we loved it! 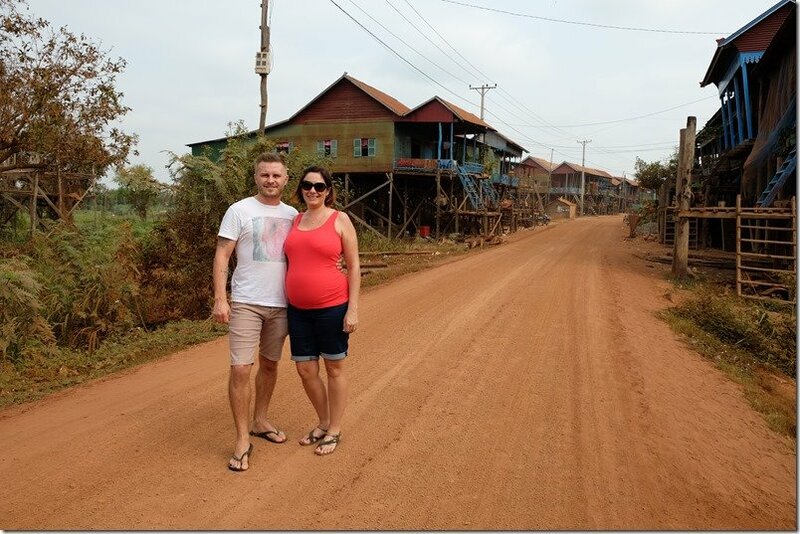 Yes, when we went to check out the outskirts of Siem Reap, we knew that we would be going to some pretty interesting places and the number one place on out list was Tonle Sap lake floating village of Kampong Khleang. 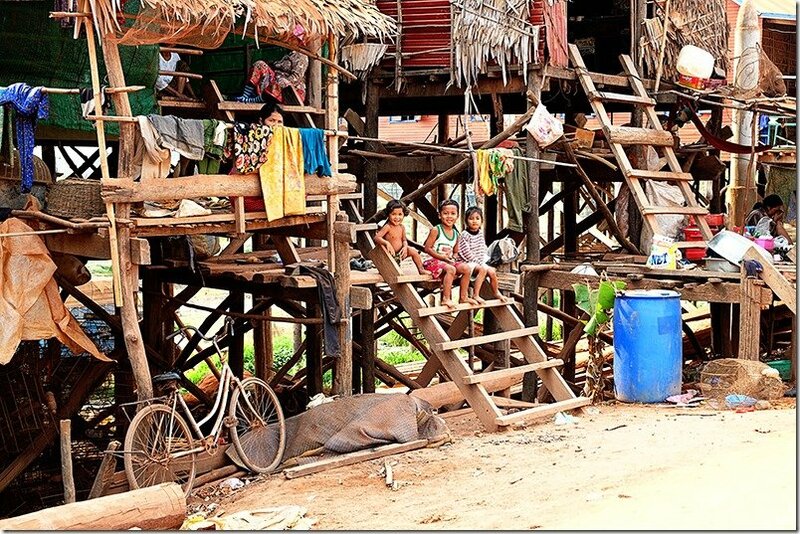 Kampong Khleang is one of the biggest villages in the area and it is home to about 5000 families. In comparison to the way we live back in Australia, the living conditions are quite different, yet we never saw an unhappy face. Everyone we met had a smile on their faces and gave us a wave. The locals made us feel welcome. Trying not to be a tourist! That was the first thing that we had in mind when we walked down the main street in between the houses. I remember our guide said that the locals appreciate the visitors, because it brings more attention to the area. In return the people hope for more support from the government into the infrastructure of the area and of course the visitors bring money as well. Living in the village is hard, but the way you look at it is up to you. 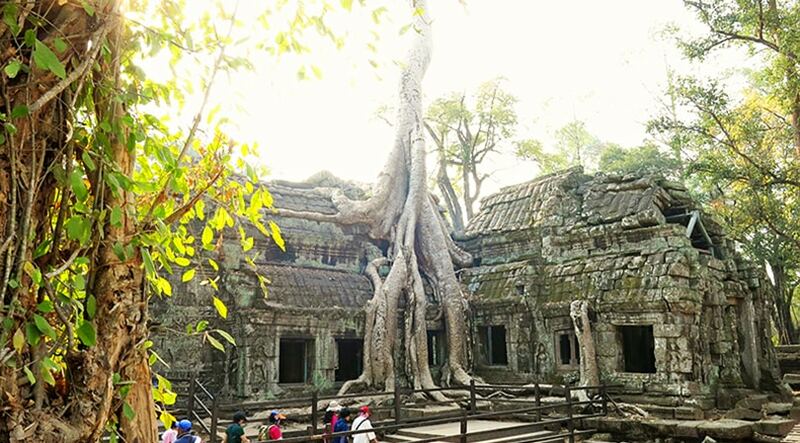 You can either accept it and work together or not and try your luck working in the city of Siem Reap. Those who choose to stay and live their life the way they always lived for generations have to battle with a lot of factors and the biggest of all is the weather. There are two major seasons at Kampong Khleang: dry and wet. 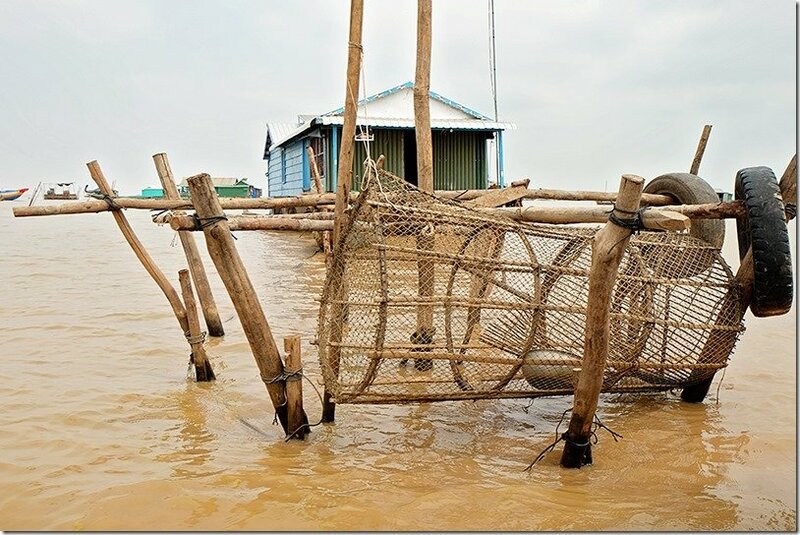 In the wet season, between June and December, the Tonle Sap Lake can swell to over 7,400 square metres, making it the largest lake in all of Asia. The water can get between 10 to 40 metres deep. Well, that explains the very tall stilted houses. In the dry season, between December and July, the water subsides, only to leave 1 to 3 metres of water behind. From one extreme to another! No matter the wet or draught, this is a tight-net community, where the neighbour helps the neighbour without question. This is the place where after building your house, or harvesting your field, you go to your neighbour and help with his. No one is left stranded, well… there is only one exception! If you are lazy and you don’t like working hard, than you might find no help. Which is fair enough. 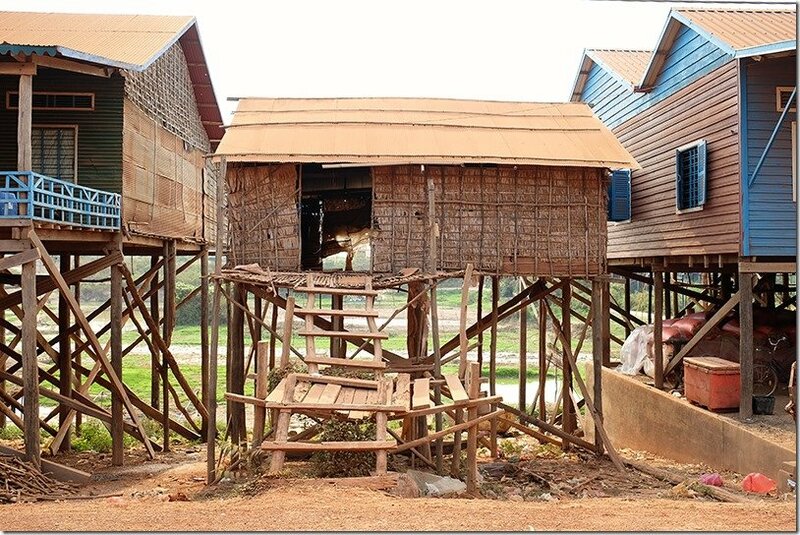 When we arrived to the village it was dry, it was very dry… The river was no more then a metre deep and all of the stilted houses towered high above the ground. 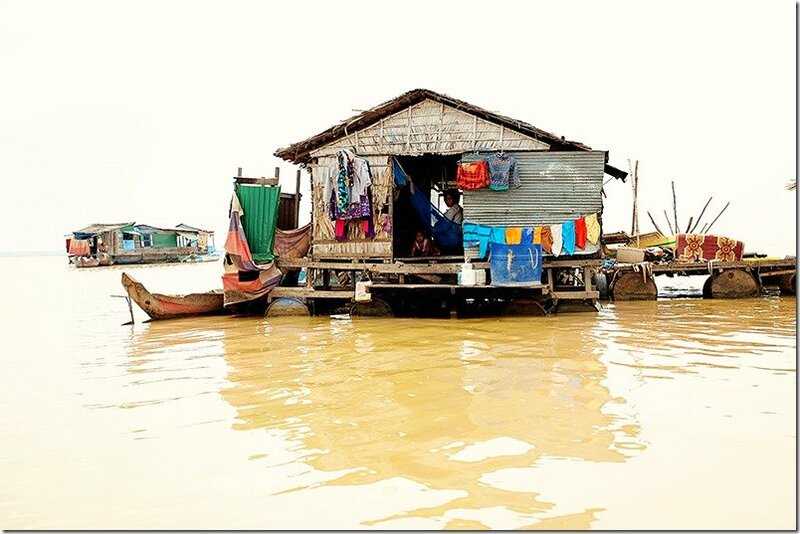 One can only imagine what it is like, when the water gets so high, that it reaches as high as the homes. Driving on the dusty red road reminded me of a scene from an old western movie, but at the same time far from it. The houses are much different to the ones in those movies. Here people have none or next to no furniture and all you can see is basic sleeping mats on the floors or some hammocks to rock yourself yourself to sleep in. Everyone we saw was either working or resting between work. Only some of the little ones played in the street or on the verandas. Simple life … and what else do you really need? Some of the adults were drying the rice on the street, moving it from side to side exposing the grain to the sunlight. Others were fixing the fishing nets, working on their boats or maintaining their houses. No time wasted here. You got to make the most of the seasons. 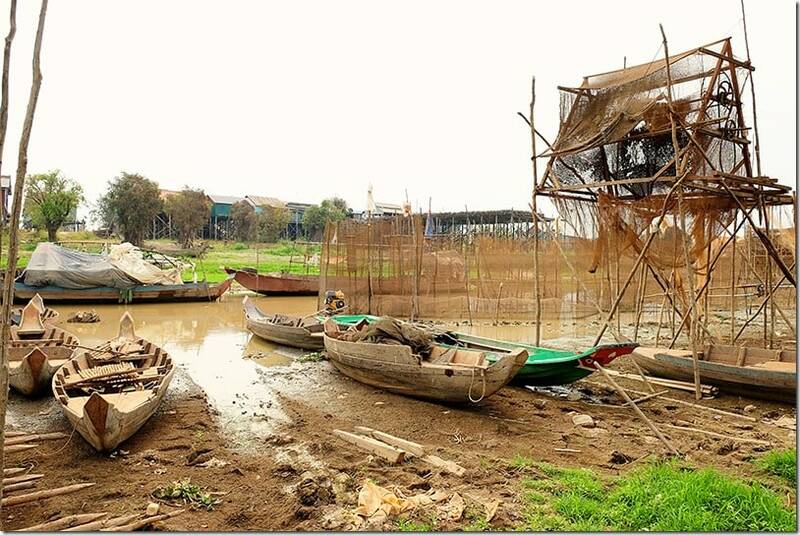 In the dry season, a lot of focus is on growing crops along the side of the Tonle Sap river. You can see the temporary houses all along the river, homes to the farmers working in the fields to restock the supplies for the wet season. 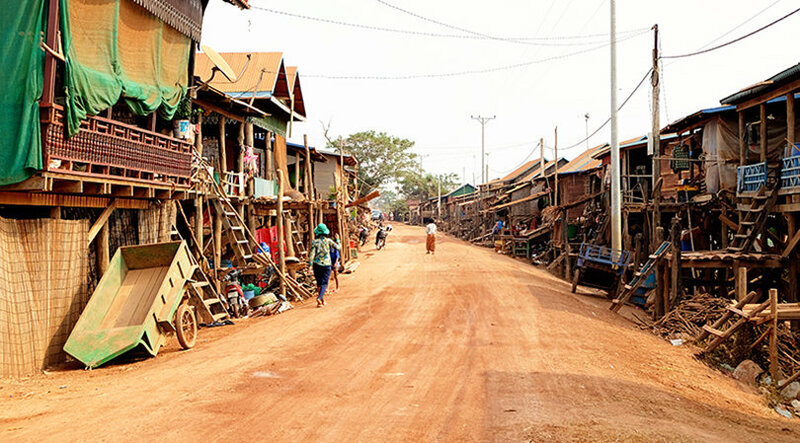 Work never stops in Kompong Khleang and it goes all year around. When the dry season ends, the rains come and the fields flood, forcing the farmers out and back on their boats to fish. And the cycle continues for generations. The villagers here are masters of their craft, they are self sufficient and they are survivors. Maybe they don’t have much in comparison the to western standards of living, but what else do you need? If you have a family that loves you, means to grow or hunt for your food and a belly full when hungry, all of the materialistic ways of western thinking is simply unnecessary. 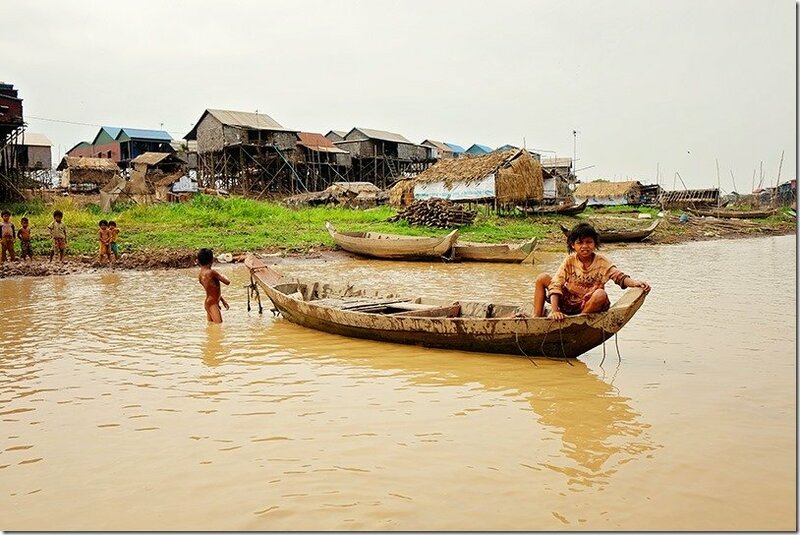 We made our way to the Tonle Sap Lake, to see it in all its whole glory. Although the lake was substantially smaller because of the dry season, it was still an extraordinarily massive lake. 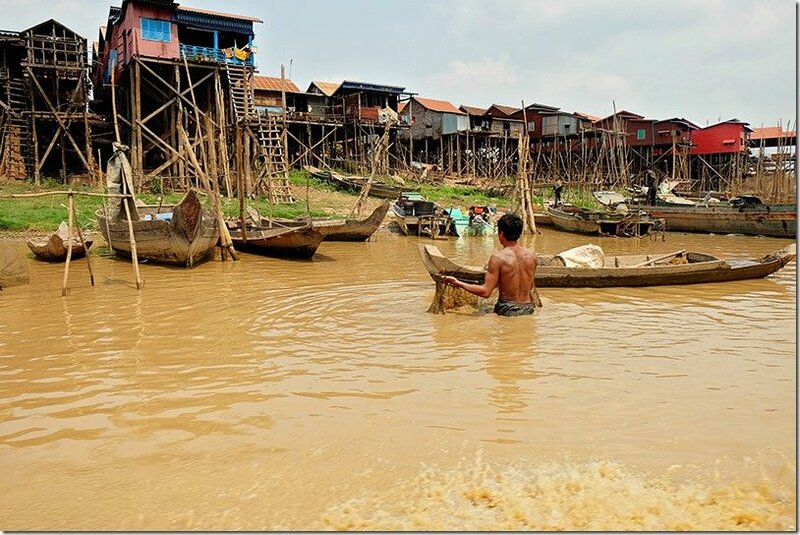 Our guide took us to the famous Tonle Sap lake floating village where we were able to get fairly close to the homes of the Kampong Khleang fishing villagers. 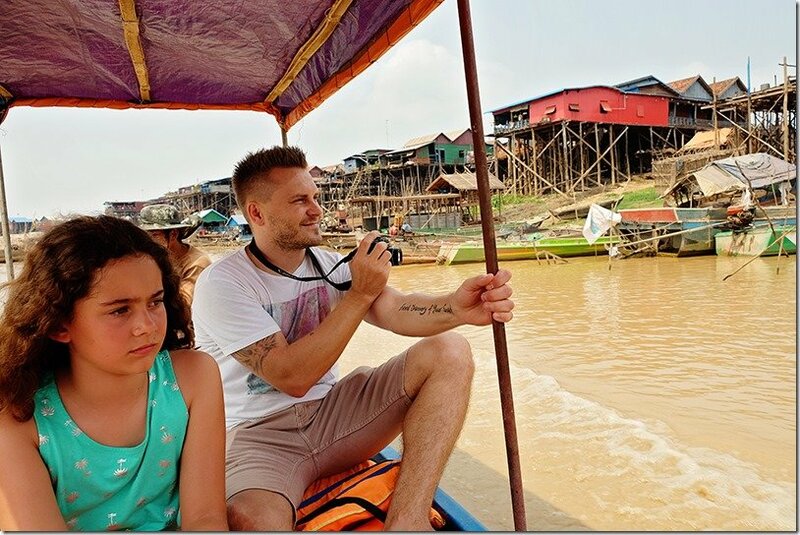 Out of respect and being mindful to not disturb the locals, we stayed at a distance from the floating houses. This section of the village is self sufficient as well. 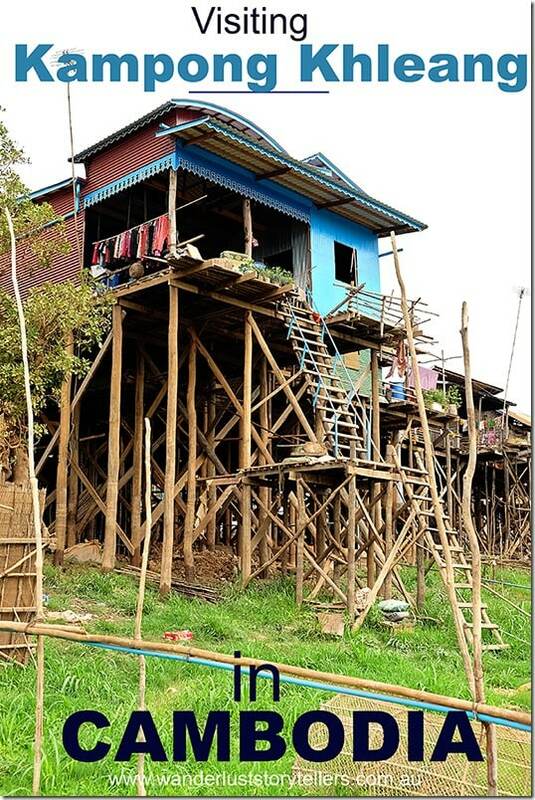 There are homes, community floating rooms and even a school, all tightly gathered to form a floating village. Some of the fresh supplies come from the mainland off course, including drinking water and other essentials. 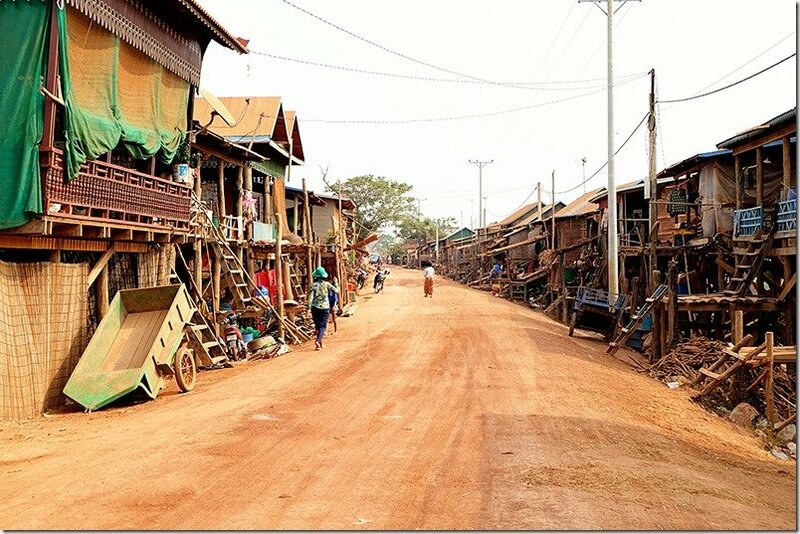 Very interesting and quite inspiring to see how people live in a community like that. It has to be to some point relaxing, to be away from the civilisation just that little bit. Every time we visit remote destinations like Kampong Khleang, all we want is to learn and to gain knowledge about the culture, customs and a bit of how the locals live, always respectfully and mindfully. One day when our kids grow up, we hope that they will continue exploring the globe and to pass on the teachings and values learnt along the way to their kids. If there is one lesson I took out from the trip to the Kampong Khleang is to not take where you live for granted and respect the hard working people from the villages. We could all learn a thing or two from them. Have you ever visited a floating fishing village? If yes, where was it? What is your favourite mindful travel memory?